Samurai: Way of the Warrior is an award winning game which is massively popular with gamers worldwide. Now the developers, Mad Fingers Games, have released the sequel to Way of the Warrior which is called Samurai II: Vengeance and you can start playing the game right now on your iPhone and iPad. The sequel is getting great reviews online as it has greatly improved graphics with retina display, virtual joystick and on-screen controls, lots of attack combos, the ability to block and usable items to overcome the various environmental obstacles. The enemy roster has also seen a welcome boost, with foes now coming packed with muskets and archers and huge bosses to take down. It is basically a beautiful, anime-style hack and slash game that fits in your pocket. You can either follow the Story Mode or fight as many enemies as possible in Dojo Mode. The game costs $ 2.99 and is available as a universal app which will work natively on the iPad and iPhone. It comes with full Game Centre support with lots of achievements to unlock and leader boards. 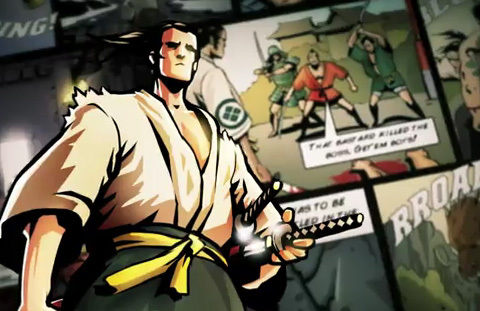 You can watch the video below to get a taste of what Samurai II has in store for you.